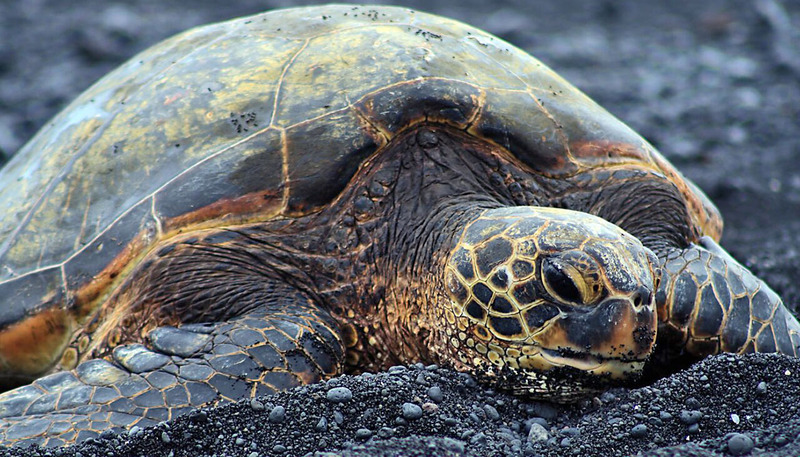 Pollution in urban and farm runoff in Hawaii is causing tumors in endangered sea turtles, a new study finds. 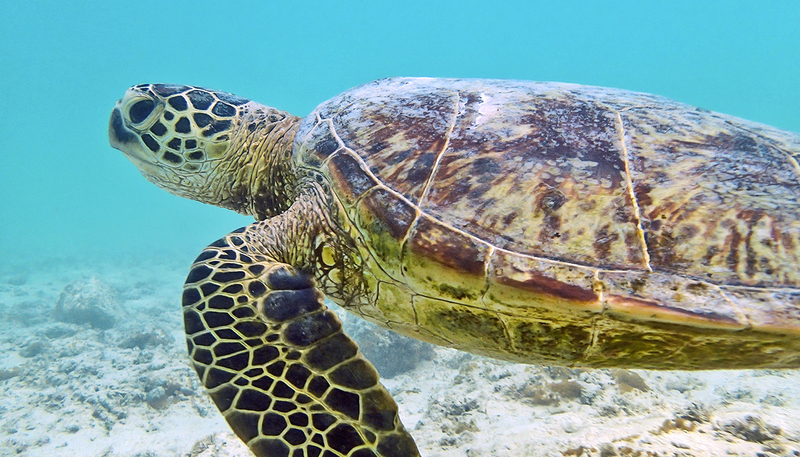 The study, published in the open-access journal PeerJ, shows that nitrogen in the runoff ends up in algae that the turtles eat, promoting the formation of tumors on the animals’ eyes, flippers, and internal organs. 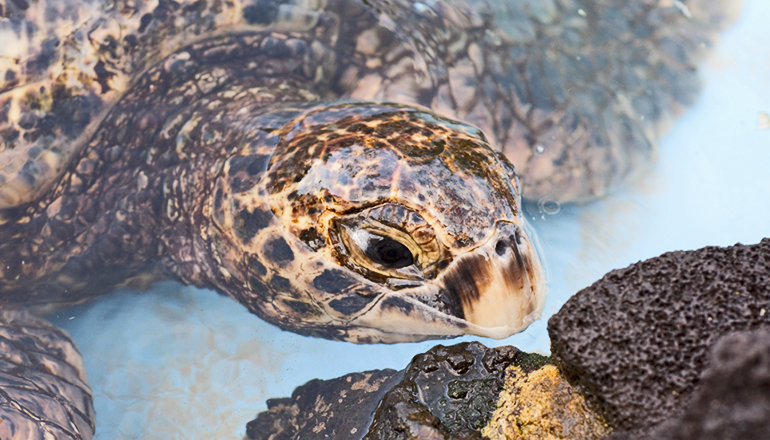 Scientists at Duke University, the University of Hawaii, and the National Oceanic and Atmospheric Administration (NOAA) conducted the study to better understand the causes behind the tumor-forming disease Fibropapillomatosis, which is the leading known cause of death in green turtles, says Kyle Van Houtan, adjunct associate professor at Duke’s Nicholas School of the Environment. “We’re drawing direct lines from human nutrient inputs to the reef ecosystem, and how it affects wildlife,” says Van Houtan, who is also a scientist in NOAA’s Turtle Research Program. This research builds on a study published in 2010 that found the disease was more prevalent in areas with high levels of nitrogen runoff. That study hypothesized the disease might be linked to how algae that the turtles eat store extra nitrogen, and designed this study to test that idea. 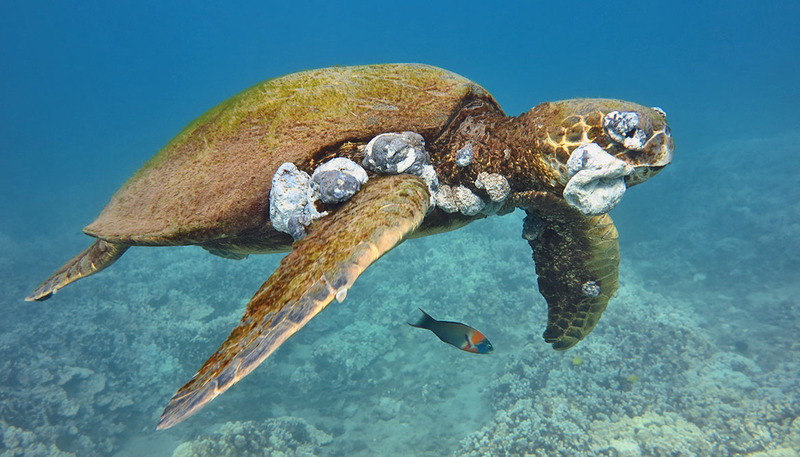 “In this paper we drill down on whether excess nitrogen inputs are causing a nutrient cascade in the system that’s ending up in these tumors in green turtles,” says Van Houtan. One way that algae store excess nitrogen is in an amino acid called arginine. The researchers found unusually high levels of arginine both in the algae in highly polluted waters and in the tumors of diseased turtles. Arginine levels in algae in less polluted waters and tumor-free tissues were comparatively low. One non-native red algae species, Hypnea musciformis, had especially high levels of arginine compared to other species sampled. Hypnea is invasive and thrives in the nitrogen-rich waters caused by nutrient pollution. Since it grows more successfully than native species of algae, it can make up as much as 90 percent of the turtles’ diet. Because this algae contains so much arginine and the turtles eat so much of it, the turtles have approximately 14 times more arginine in their systems than they would if they were eating native algae species in less-polluted waters, says Van Houtan. Even worse, the turtles, which are herbivorous, have to eat twice as much of the invasive algae species to get the same amount of calories they would gain from eating native algae. “The energy and arginine content of (the algae) may therefore act as a sort of one-two punch for promoting this disease,” the study suggests. Arginine is thought to promote a virus that leads to the disease that forms the tumors. “If this disease is a car, arginine [is] its fuel,” says Van Houtan. Without it, the virus can’t function. How the virus causes tumors is still unclear, he said. Arginine is just one of the molecules the researchers measured in the turtle tumors. They also found elevated levels of amino acids that are common in human cancer tumors, such as proline and glycine, Van Houtan says. Measuring amino acids in the turtle tumors allowed the researchers to better understand how the tumors form and function. Similar analyses of amino acids may also be useful in understanding human cancer tumors, adds Van Houtan. This research could help scientists better understand how to protect not only sea turtles but also other marine plants and animals that face similar threats from pollution. “It’s not just green turtles, but fish and coral reefs that have similar diseases in these locations,” says Van Houtan. Van Houtan hopes future research on this problem can inform environmental management of reef systems as a whole. “If research continues to support this hypothesis, we probably need to reconsider our current ways of managing coastal nutrients”. The Disney Worldwide Conservation Fund and a Presidential Early Career Award in Science and Engineering funded the work. Celia M. Smith, Meghan L. Dailer, and Migiwa Kawachi of the University of Hawaii at Manoa co-authored the study.